Archive for the ‘Book and Web Site Reviews’ Category. 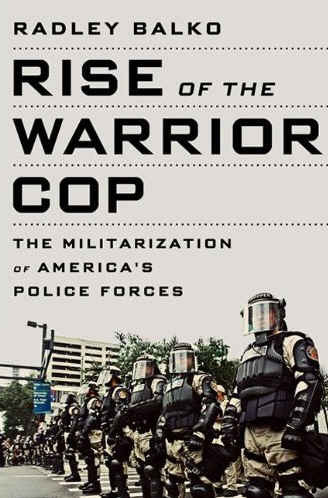 Posted 2013/06/23, 6:57 am · Category: Book and Web Site Reviews, Book News, Cowards, Government, History, Liberty, Ozymandias, Police Misconduct, Tyranny, U.S. Constitution · Comments Off on Rise of the Warrior Cop – What could go wrong? “This landmark volume on the subject of exclusionary policies against Chinese and Chinese Americans is the culmination of lengthy research conducted while attorney Gold (Senate Procedure and Practice) represented a number of Chinese American groups. Divided into 11 chronologically ordered chapters, the book opens with an exploration of initial Senate debates over exclusionary measures and concludes with details on the repeal of such legislation. Congressional member quotations illuminate period sentiment. An appendix offers primary-source texts, document facsimiles, and discussion questions, and this makes for a valuable teaching tool. For the past four years, I’ve been ordering the most unappatizing sounding item on the menu when I eat at nice restaurants. This counterintuitive advice from Tyler Cowen’s 2007 book Discover Your Inner Economist has worked surprisingly well. 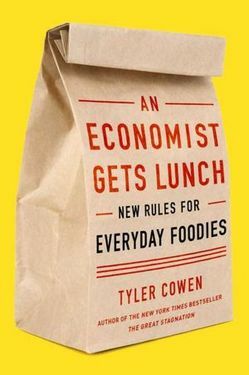 Cowen’s newest book, An Economist Gets Lunch, is a combination of practical eating advice like this, and also a history, economics, and science book about food. If there is one overarching lesson it is that looking at food through the framework of supply and demand can help you both understand our food system better, and also help you be a smarter consumer and get more out of every meal. But Cowen is not an apologist, and he doesn’t argue that we can just deregulate our way to a better food system. In fact he has many words of support for policies and values often supported by progressives. To help improve both the long-term budget gap and the growing environmental problem, he advocates ending subsidies for big agriculture, and argues for a carbon tax. In addition, he believes that meat should be “taxed” for environmental reasons, and that one easy way to do this is to enforce more strict animal welfare laws. More at Tyler Cowen’s Ethnic Dining Guide. In 2008 I got a book advance of $200,000, of which my agent took 15% and the IRS took approximately one-fourth. Still, that’s a lot of money, even paid out in quarters over the course of several years, and for a few months after I got that initial check–for the first time in my adult life–I mistakenly assumed that I didn’t have to keep track of how much money I was spending. Because surely this good fortune was the beginning of more good fortune to come! There would be foreign rights sales, audio rights sales, fat old-school magazine payments for first serial rights when the book came out, maybe a film or TV option — not to mention all the paid teaching and speaking opportunities that having written the kind of book that a publisher would pay a six-figure advance for would undoubtedly bring my way. And then, too, there would be another payment of the same amount or more money for another book, a book I couldn’t quite imagine and hadn’t even started writing, but would definitely be able to write in a year or less after the first book came out because what was I, lazy? No, I was quick, quick like a blogger! Without whining or belaboring, I will just say briefly that precisely zero of these rosy fantasies came to fruition. 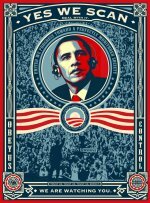 ALEXANDRIA, VA – Irrespective of which party controls the majority, existing congressional practices will remain in place. Without significant change to those practices, they will produce the same old results. Those same old results have driven the country into a dire situation. It is time to correct for this. 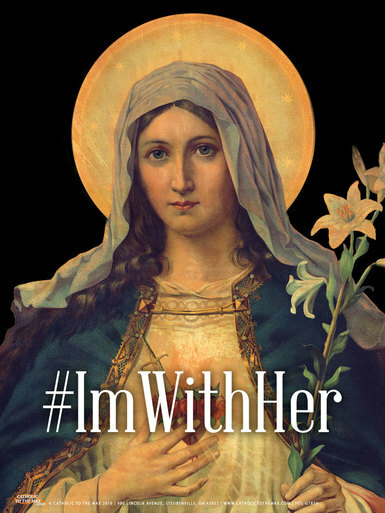 It is time — and it is possible — to turn things around. Congress needs to reform its own ways of doing business. Joseph Gibson’s newest book, A Better Congress: Change the Rules, Change the Results, proposes a completely new approach to running Congress. Call it a radical return to basics. Radical? Yes, but doable. Gibson, a congressional insider, knows what can be accomplished. He also knows how to make it happen. Limit the number of bills members can introduce, limit the number of pages per bill, and require each member who votes to read the bill. 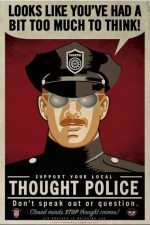 Ban fundraising when Congress is in session. Make serving in Congress a part time job with the expectation that members would hold other full time jobs. Allow the minority party to control some part of the agenda. In Gibson’s view, the reforms in his book would lessen the partisan divide, limit the time wasted on frivolous legislation, keep the members focused on wise policymaking rather than simply winning elections, and increase the pool of worthy candidates who will actually run for office. Gibson has served as House Judiciary Committee chief minority counsel, chief legislative counsel, chief antitrust counsel, parliamentarian—and Chief of Staff to a prominent Texas Congressman. He is also the author of Persuading Congress: A Practical Guide to Parlaying an Understanding of Congressional Folkways and Dynamics into Successful Advocacy on Capitol Hill, published earlier this year by TheCapitol.Net. Two Seas Media and TheCapitol.Net are privately held, non-partisan publishing and training companies based in Alexandria, VA. For over 30 years, TheCapitol.Net and its predecessor, Congressional Quarterly Executive Conferences, have been training professionals from government, military, business, and NGOs on the dynamics and operations of the legislative and executive branches and how to work with them. Journalists: To request interviews, contact Sandy Trupp at Planned Television Arts, trupps@plannedtvarts.com or 202-974-5002. To request review copies, contact the publisher: publisher@thecapitol.net or 703-739-3790, ext. 0. Prof. Solomon’s book is available as a free PDF download. These are the books most popular with AGINY readers.